Most of us don’t want to encounter unwanted pests inside our homes or places of work. Unfortunately, Littlefield, Texas has over 6000 residents and even more pests, such as ants, cockroaches, gnats, scorpions, spiders, termites, and earwigs. If you want to protect your home (and self!) from unwanted creatures, regular pest control services are vital. 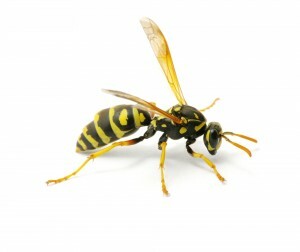 Go Green Pest Control is your best option for the effective removal of pests in Littlefield. We take pride in ensuring you’re always pest-free, so you don’t have to worry about unsightly creatures setting up camp inside your home! Unfortunately for us humans, pests in Littlefield can multiple quickly, giving them the potential to do significant damage to the structures they habituate. Eradicating the problem sooner rather than later always makes things easier on you, and allows for faster removal of the pests that are bothering you. Go Green Pest Control provides excellent pest removal services for people living in Littlefield, Texas. Contact us today to set up an initial service, and have one of our trained professionals thoroughly inspect your premises. From there, we’ll treat your home to rid it of pests, and then work with you to create a schedule for regular follow-up treatments, ensuring that you never have to worry about pests again. Give us a call at call us at 505-404-1440 and talk to one of our pest control representatives.